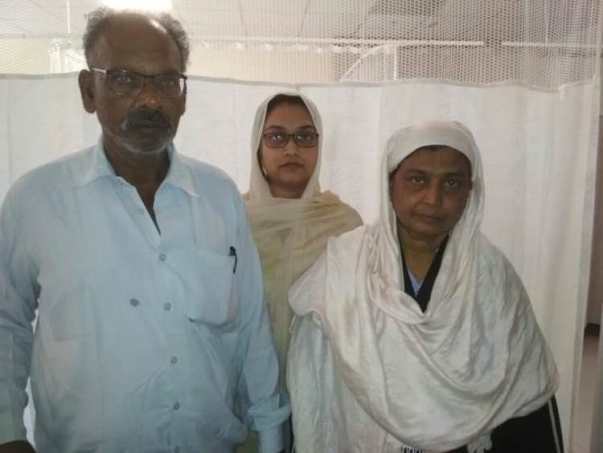 For the last 6 months, 54-year-old Noor Jahan has been suffering from Jaundice but what she thought would be healed easily revealed to be pancreatic cancer after running tests. “First my husband and now me. I don’t know what else life has in store for us". 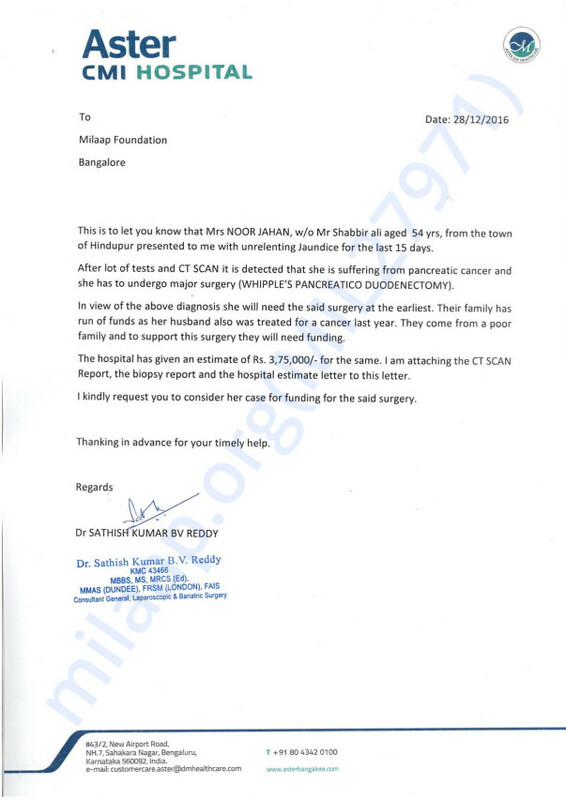 Now the only treatment for her is a surgery which is costing around 3 lakh Rs. Unfortunately, Noor comes from a poor family and they are unable to afford the treatment. Her husband, Shabbir, worked as an electrician but hasn’t been able to go back to work ever since his illness. Her oldest son is a lorry driver, while the youngest works in a small shop in Hindupur. Her daughter is a housewife. Their earnings are not enough to even begin to cover the cost of her treatment. "We don’t have money to pay for rent in the city, so we’ve requested the hospital to let my children stay here with me. They haven’t eaten well or slept in days, since they have to take turns to sleep. It's a struggle for us in every way." Your contribution can give Noor the treatment she deserves. 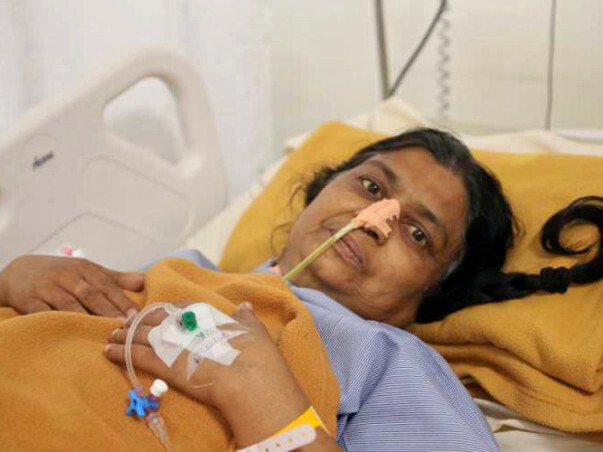 Thank you for all the wonderful support that you have shown towards Noor Jahan. Noor has been successfully operated on 28th January and by the grace of God now she is recovering from the surgery but she will need further treatment in the form of chemotherapy and radiotherapy. She still needs funds to continue with her treatment and would request you to share this campaign further with your friends and family. The letter from the hospital is wrongly dated as 2016 instead of 2017 apologies for the mistake.